Today we are going to learn how to use Bitly for social media and what data points to look at during this video tutorial. In today’s digital marketing world, social media is a key component. We can all share anything we want online, but it should not end there! We could get visits from the share which means traffic. We could even get people to share that message to their audience. All in all that is great, but we should not stop there. What I mean is the same thing that people in the SEO field have been preaching for years now. It is not about how many links you get but instead focus on the quality of those links. The same thing about traffic. It is not about how much traffic you get but instead are you getting the right traffic. The same works with social media. The power of Bitly can do so much for markets. We all know that we have 140 characters when it comes to tweets. 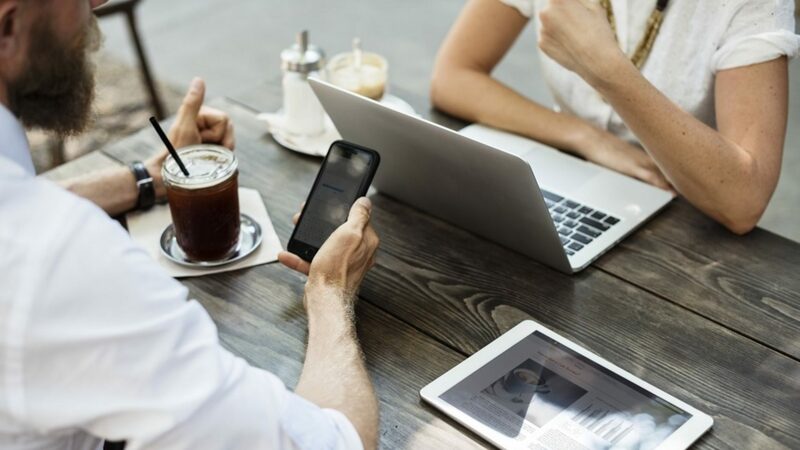 In fact, research says that you want the tweet to be around 110 or so words just because it is a little easier for users to digest the tweet quickly. This is the reason one as to why you should use this tool. The first is that you can take a very long URL and shorten it atomically with Bitly. This is great because you are saving character count and it looks more clean on a tweet. This was a tweet that I sent out that used this link. 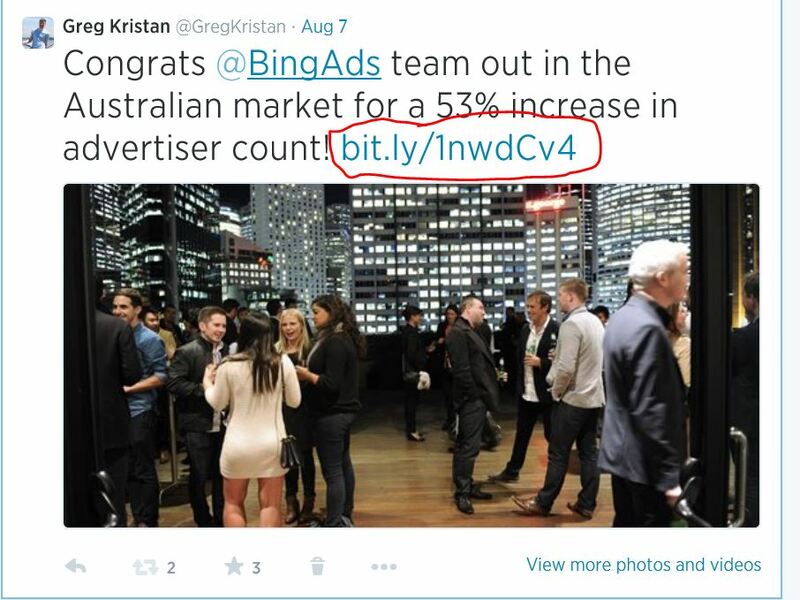 Notice where I circled to show the Bitly link. This looks clean and it is easy for users to see what this tweet is and where to click. This is an example of a tweet that did not use a service like Bitly. Notice how there are more characters in this tweet because of the link and it looks messy and does not stand out well with the hashtags. When it comes to social media just think of the name. You want to be social! Make a good, no make a great first impression with your audience or your friend’s audience. A clean looking tweet and you are already headed in the right direction. It is not always about you and your business. This is something that I stressed when I worked at my digital marketing agency for clients. If you only use social media just to promote yourself, you will be bored! It is like going to a party and telling every single person that is there what is going on in your life and not allowing them to speak in return. If you do this after a while people will lose engagement in what you are saying to them. Bitly allows you to see when you are being social what type of influence you have on others. I love tweeting out other people’s content and I love to see what type of impact my tweet had on Twitter. Forget the amount of tweets or shares that someone does, I am interested in the influence I had. Below are two examples of a low influence vs. a high influence that I had. I shared this one link out to Moz for their White Board Friday and Bitly will tell me how many clicks actually came from my tweet vs others who tweeted out to the same URL. When Wakefly created a new blog by Joe Gill I decided to tweet it out. 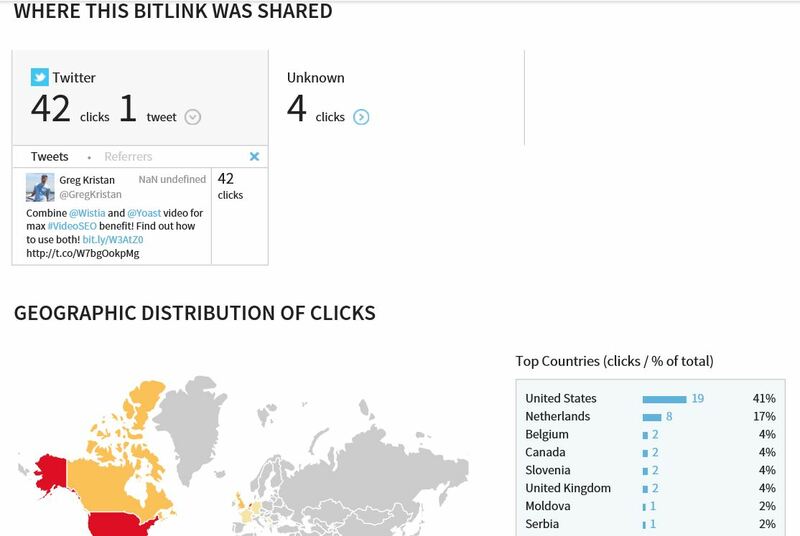 You will see that my tweet that I sent drove over 85% of the Bitlinks back to that blog. I felt pretty awesome that I made a large difference just by sending out one tweet! We just talked about how great it is to be influences of others, but let’s make that happen for our own site! I want to see who is retweeting my content and more importantly, how much of an influence that one tweet had to my overall visits back to my site. You see if you are not using a tool like this you will get the email that this person retweeted out your content. Then you will look at your analytics and say we really nailed it the other day because look at all of these visits and retweets. However, if you can’t say who the biggest influences were for those visits, then you just missed out on a big influence for your next tweet. Again, it is not about the quantity, but instead the quality of the shares. Chances are some companies have some automatic set up that will search for keywords and just retweet your stuff which will get very little traffic. You will see that they retweeted your content and you will be impressed. You might even start to follow them. So what happens is that they got exactly what they wanted (you follow them) by doing the bare minimum of work and they probably did not even read your content, let alone had any influence on clicks. 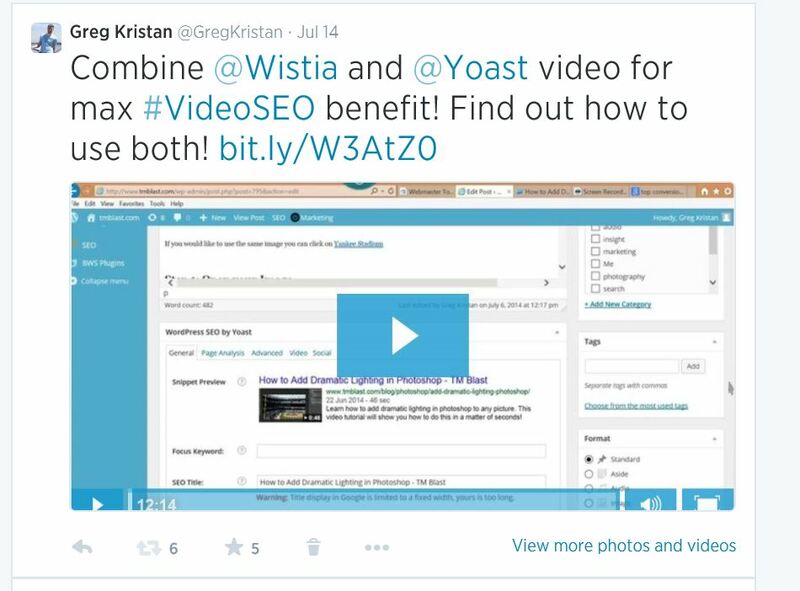 See below for an example of my Wisita and Yoast blog post that I put on Twitter. Now these stats are low, but there is so much data that I would of missed if I was not taking it. These are the stats that came when I posted that blog post on Twitter. I scrolled down a little on my dashboard just to show the 46 clicks that I got when I shared my content on Twitter. This is where this platform starts to show its power. I want to see who also shared my content and how much influence they had on others to visit my site. For this example, I want to look the 33 clicks that I got. 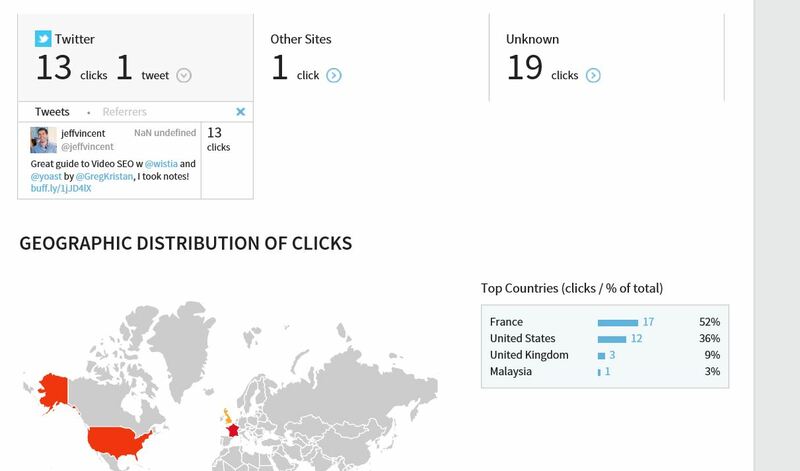 Here are the stats that I can see about where those 33 clicks came from and the message that was sent to them. When I clicked on this I saw that Jeff Vincet from Wistia was a large factor in bringing visits back to my site. What was really cool was that we had a little back and forth discussion on twitter which was amazing. This data is great, but we all know that it is not 100%. For instance, I looked at my analytics and noticed a large amount of traffic from Facebook that was not found on Twitter.. I started to look at the Geo location of these visits and I could tell that this was not from the United States. 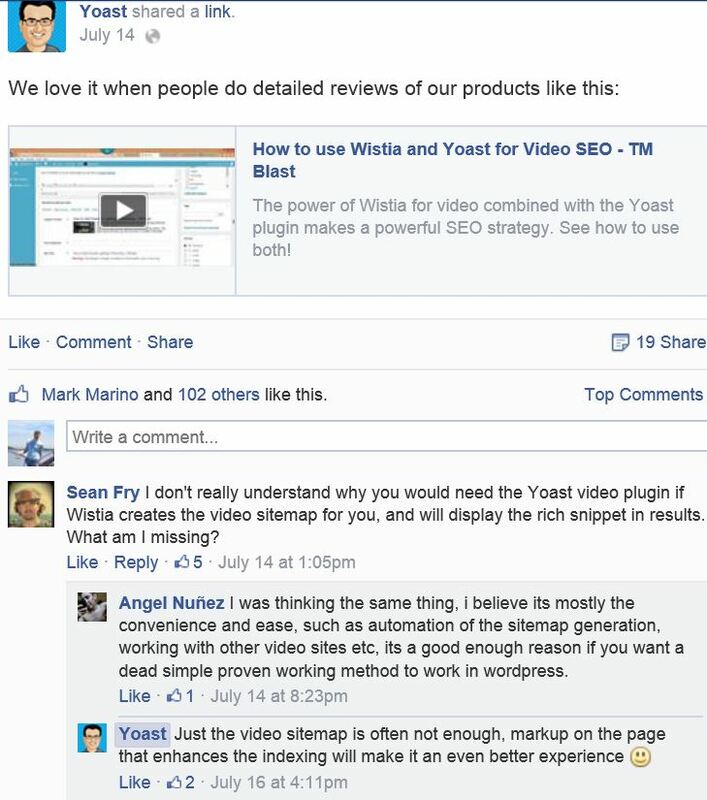 I knew that Yoast also shared my content on their Twitter so I had a hunch that they also did the same thing on their Facebook page. In today’s age of digital marketing we need to make sure we fully understand everything that we promote. What works and what does not work is important when you sit down with the social team, the PR team, the SEO team, and anyone else that is involved. If you blindly look at the visits and say this worked or this did not you could be losing out on so much more. 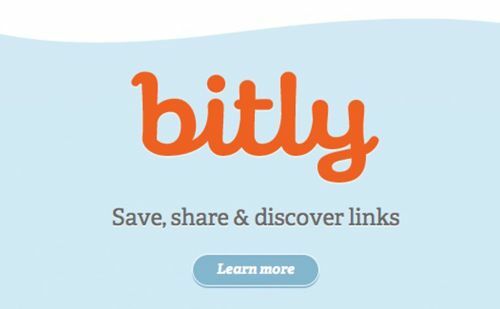 You can use Bitly for free which is something that is great and should be used by everyone. Try it out today and see what it can do for you. First sign into your Twitter account and then search for the term Bitly on your favorite search engine. Then, once you get there authorize the access of Bitly to your Twitter account and start pasting in your URL where it says “paste a long URL here to shorten it“. Then you want to copy that link and put it up on Twitter or anywhere on the web and see the data.